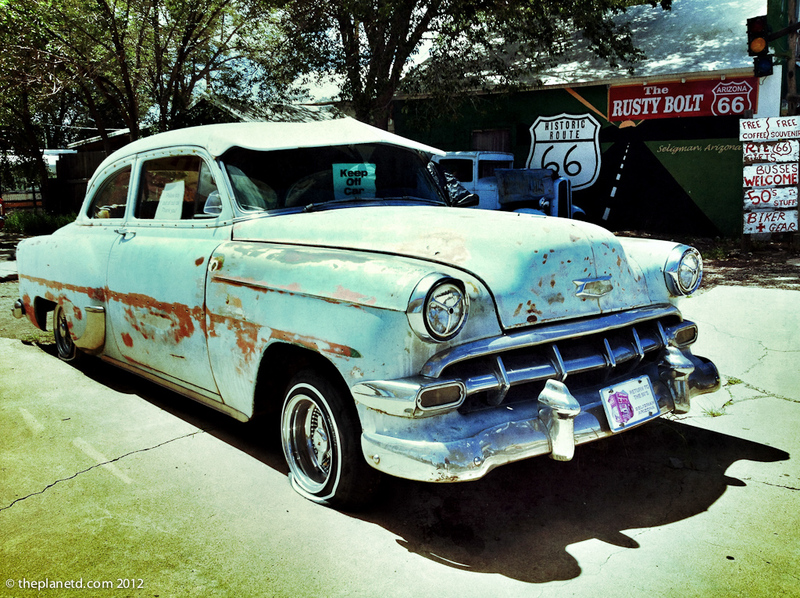 Our drive through the historical Route 66 began in Williams, Arizona. We had just laid eyes on the Grand Canyon for the very first time and had driven south to the legendary route to spend the night. Hopping into Williams was like stepping back in time, and we liked it! 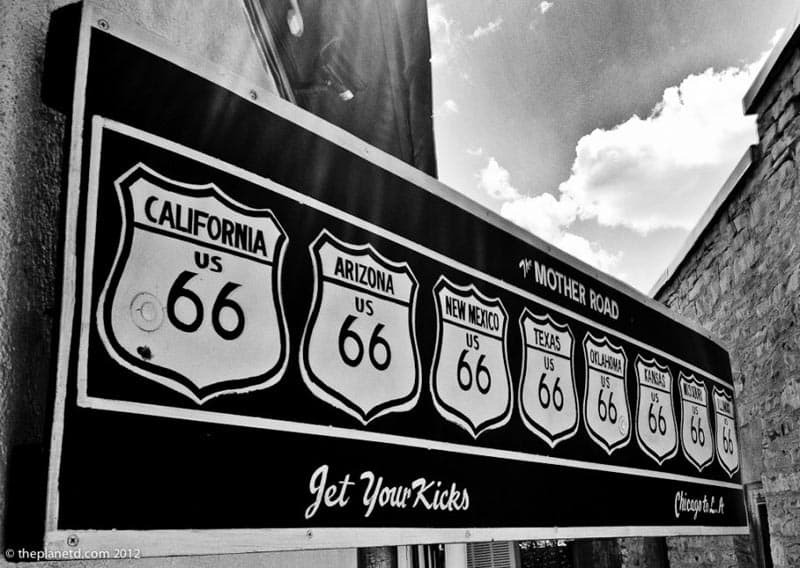 Known as the Mother Road, Route 66 was the main thoroughfare from Chicago to California. Built in 1926, it was a road of dreams. As Americans migrated West looking for work, it captured the imagination of the nation. 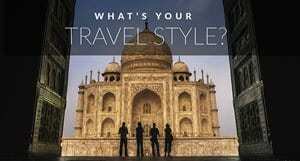 We know it from the song made famous by Nat King Cole. 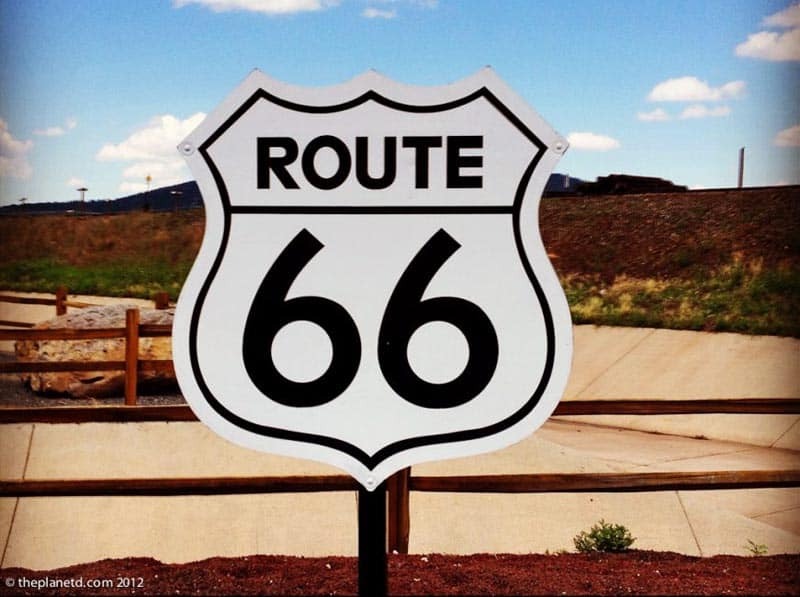 Today, Route 66 is a shadow of its former self as the highway system was built in 1980's bypassing most of the towns located along the route. 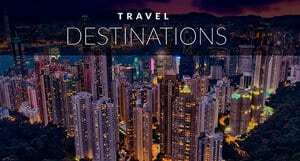 But there are a few towns that cling to a not so distant past and a few tourists who set out to recreate their own American Dream by driving along the iconic route making it the ultimate road trip. Williams town is one of these towns and these two tourists were up for the challenge of at least cruising through part of the legendary road. The last town to be bypassed by the highway, Williams still receives visitors from around the world wanting to catch a glimpse of Americas glory days. There are old cars on display, a soda shop and 50's style gas stations, a colourful downtown and of course Route 66 signs and leftover ads from its heyday. We decided to drive on the route for as long as we could, so we bypassed Highway I-40 and instead drove along the single lane road towards the next town. The picturesque landscape had cows grazing in the distance and rolling hills surrounding our lonely stretch of road. We barely saw another car on the route and we wondered if we had taken a wrong turn. 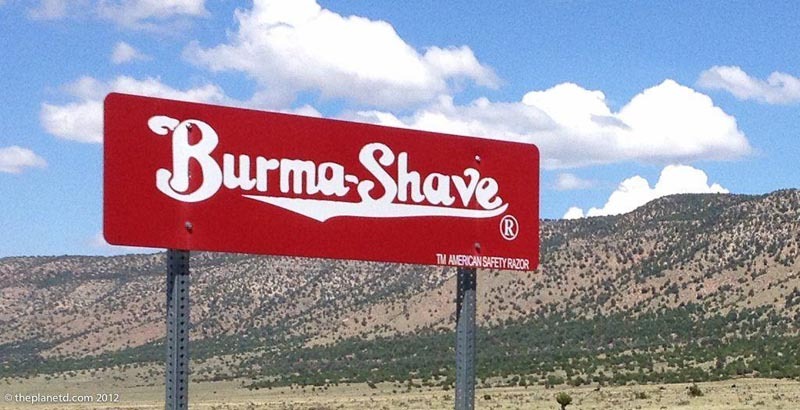 That is until we were greeted by ads for Burma Shave. We looked forward to each set we came upon and decided that the Daisy's poem was our favourite of them all. 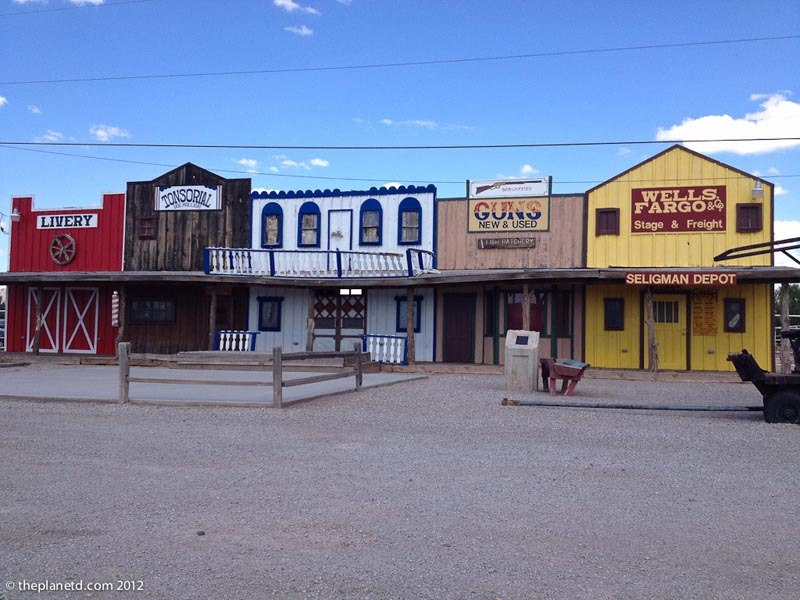 Our first stop after Williams was Seligman, Arizona and it was far more historically preserved than Williams. 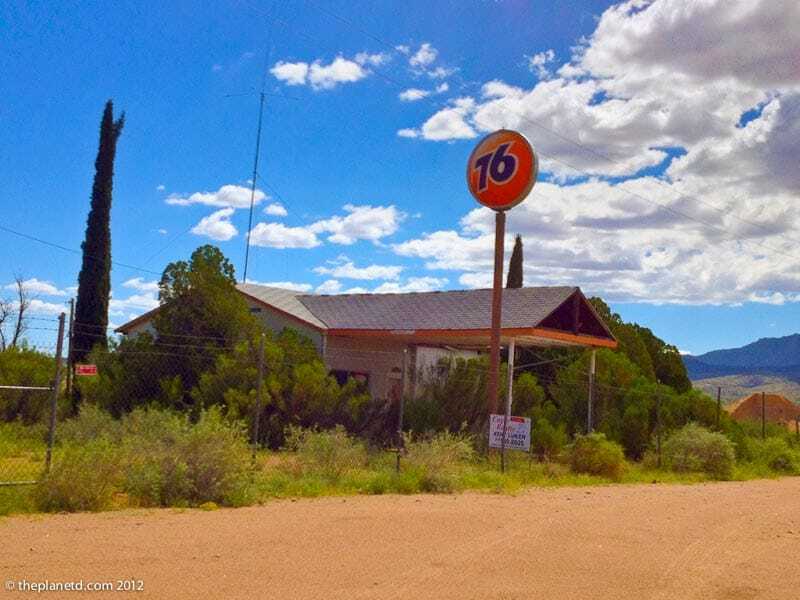 Seligman was the birthplace of Route 66 and played a large part in preserving the longest remaining stretch of the route in 1987 when it established the road as a heritage highway. 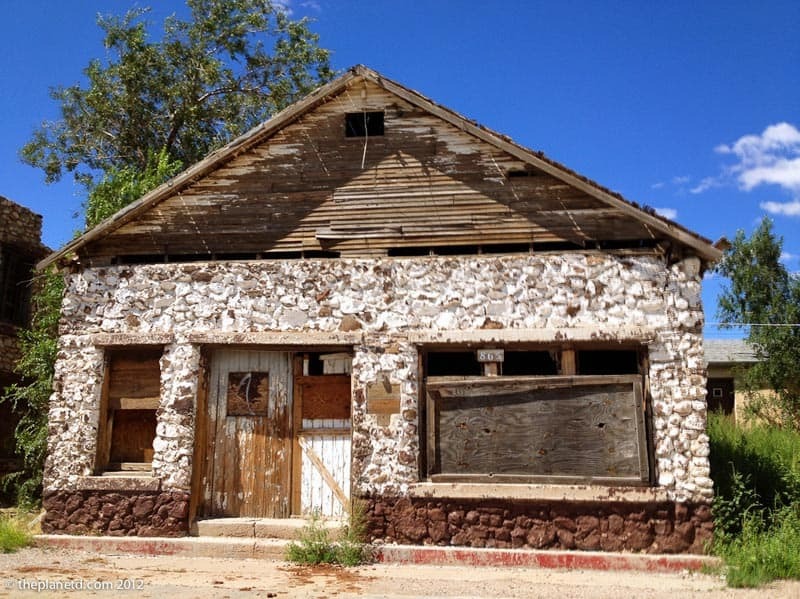 There are old motor hotels, The Road Kill Cafe, a Texaco Gas Station and the old general store. If you are going to buy any souvenirs, buy them in Seligman because they have everything Route 66. We decided to wait until we hit the next town along the route, but that never came. As we drove West, there was less and less to see. The next stop was Peach Springs which had nothing but a large general store and the Grand Canyon caverns. There was nobody there. We were looking forward to Peach Springs. It sounded so cute and impressive and we couldn't wait to see more old gas stations, corner stores and soda shops. Unfortunately there was nothing there. Other than a few run down buildings. Peach Springs is definitely off the map enough that it doesn't attract any tourists and the town seems completely shut down. We decided if we were out this way again, we'd take this way to the Grand Canyon as it is the only road that takes you to the bottom of the canyon. 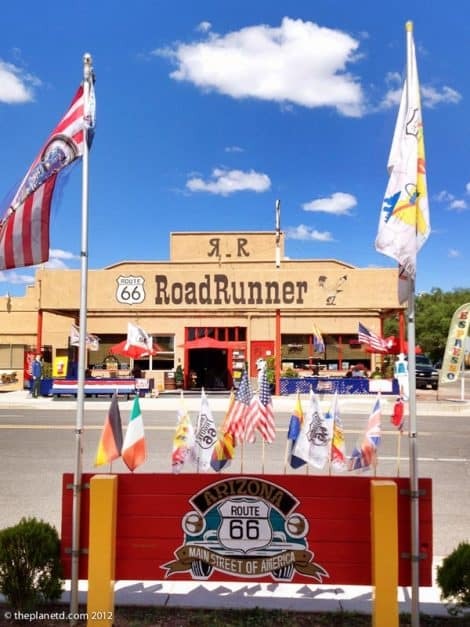 By the time we made our way to Kingman, we were at the California border and we had a choice of either exploring more of Route 66 or turning south towards the London Bridge. Well, the London Bridge won out, but for a few short hours, we got our own kicks on Route 66. 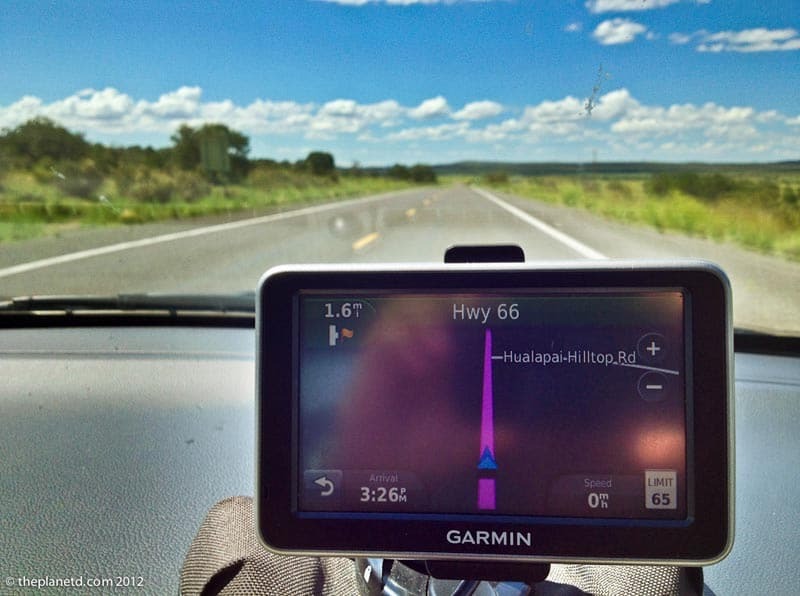 29 Responses to "Route 66 – America’s Historic Highway"
Fascinated pictures. I am planning to drive through this path in my coming vacations. 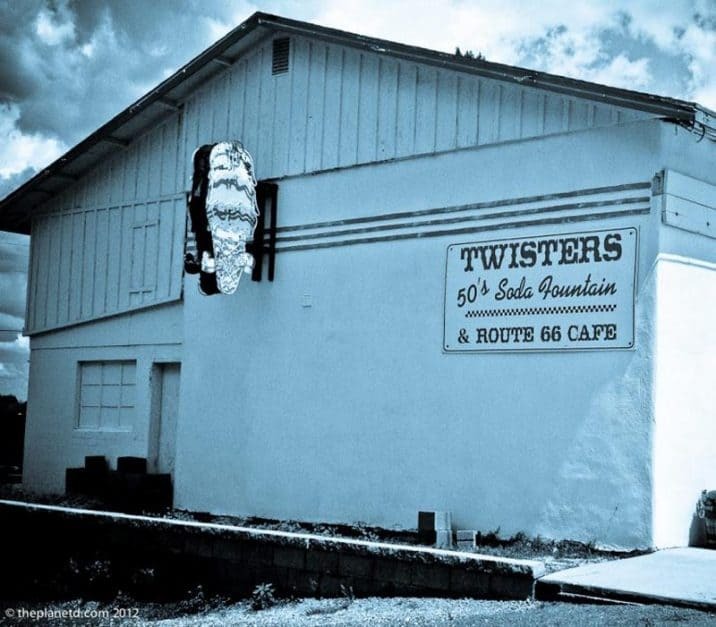 There are some amazing places along route 66 that will fill your journey with lot of joy and excitement. I loved reading this post and seeing the iconic photographs. 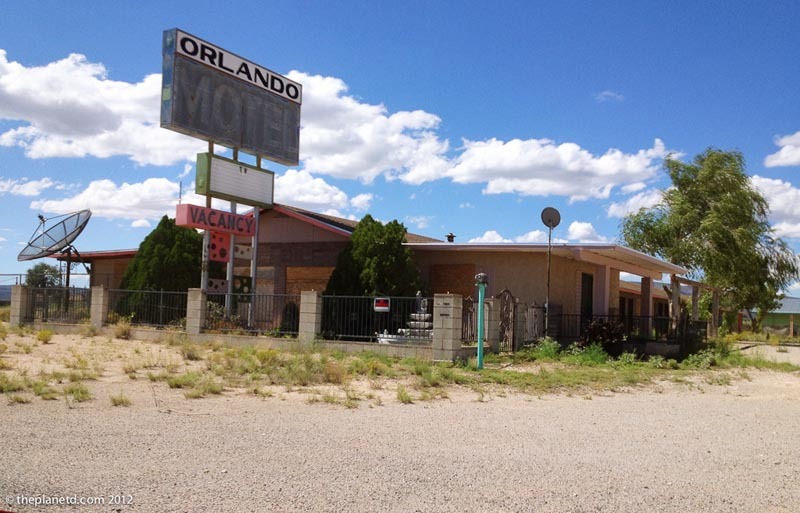 We have driven a few stretches of Route 66 ourselves and I always feel sad to see how abandoned and isolated everything along the route is now. 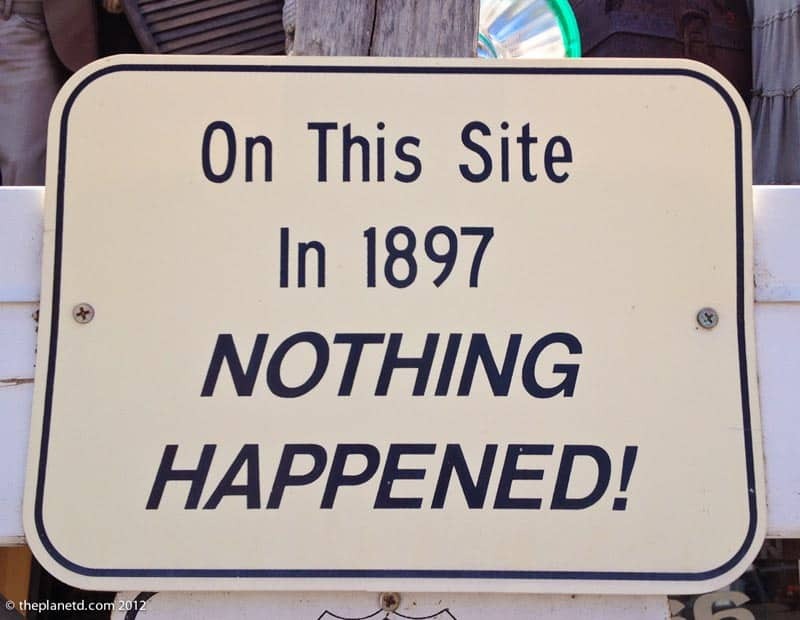 Great post, it really brought back tons of memories! Those signs looking good, dude! Really love this part of USA. What a great road trip you two had! I love going on road trips through the US, and Route 66 is of course a must. 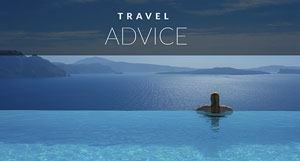 You did a really good job outlining all the little towns you visited, and your pictures are fantastic! 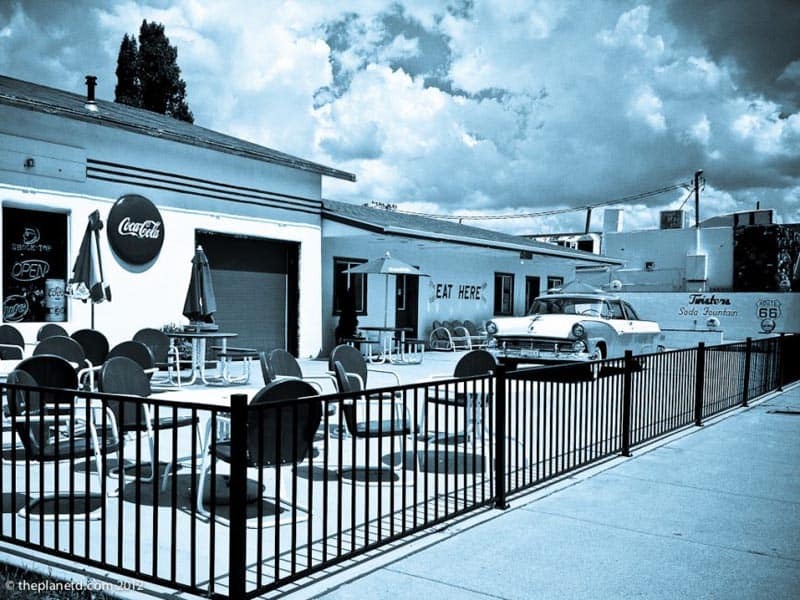 What are the old soda shops like? Do they sell anything different from what you’d be able to buy anywhere else? And how long did the trip take in total? Thanks! Wow, those are some phenomenal pictures. I miss road tripping through the USA so much. It feels like it has been ages, and I have yet to ever try the Route 66. 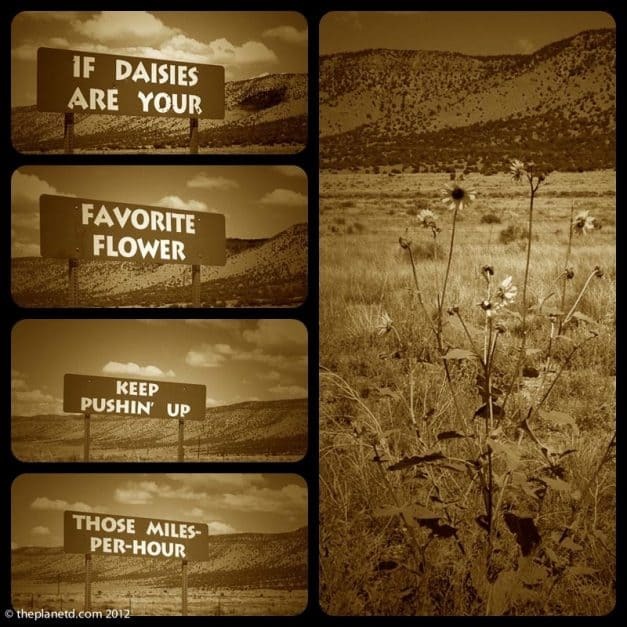 I think my favorite picture is of the signs about daisies and speeding up–very clever. Glad you enjoyed the trip and saw all of the awesome history. Thanks Ryan. There were a bunch of signs just like that as well. When we first saw them, we didn’t know what was going on, but by the second or third set, we were totally prepared for a fun little punchline at the end. I used to drive this turf all the time. Thanks for the memories. We did a small portion of route 66 on our last road trip and were pretty disappointed by the stretch we were on. Looks like you found a much better part of the route than we did. We are planning on driving to the Grand Canyon on our next trip, so we may drive Route 66 to get there. You mention a turn off to get to the bottom of the Canyon, do you happen to recall what road that is? This is on our bucket list! 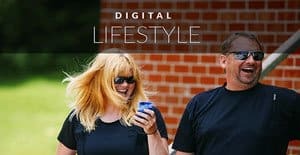 Did a few road trips of our own, but this one is THE road trip of a lifetime! I heard so much about Rt 66 and seeing your pictures makes me ache for more! I have been to over half of those states but I haven’t been on route 66. I guess there’s more of America I need to explore! 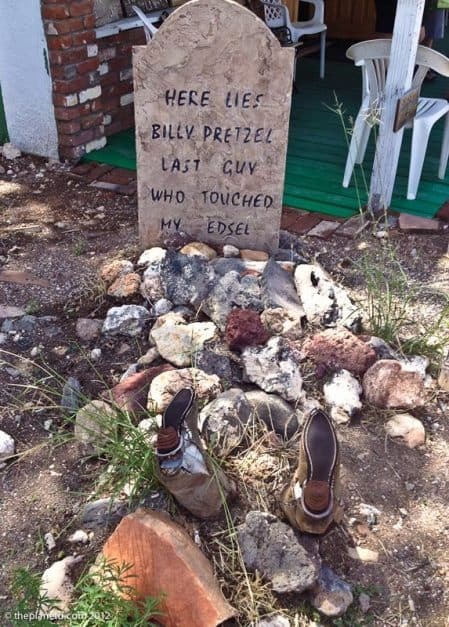 Too funny you haven’t been on Route 66. It is a little out of the way though, so I can believe it. We really had to make a concentrated decision as to whether we should go off route for the day and take the long way around or stay on the highway and bypass route 66. I’m glad we didn’t, it was very interesting to see. Love this! My sister and I also got a little taste of famous Route 66 when we did our own US road trip last summer. It really is quite special, isn’t it? I think our favorite, kitsch-tastic stop was Amarillo, Texas. 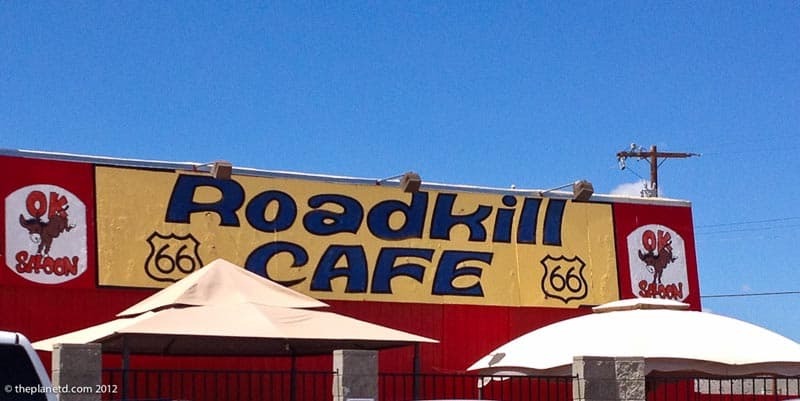 Also, please tell me you guys ate at the Roadkill Cafe?!? Route 66 was definitely fascinating. You hit the nail on the head. Most of the towns are like ghost towns, but then there are a few gems like Williams and Semingal. I’d love to do the entire route on bicycle. You captured it Angela, it is a bit of a ghost road, there aren’t even any houses along the way. It’s strange that once the highway came, everything else left.